I went on an amazing annual boat tour on Saturday, put on by the Audubon Society, called Winter Seals and Water Birds. About a hundred or so participants cruised out of South Street Seaport on a Water Taxi, past Red Hook and out to Lower NY Bay toward the ocean. 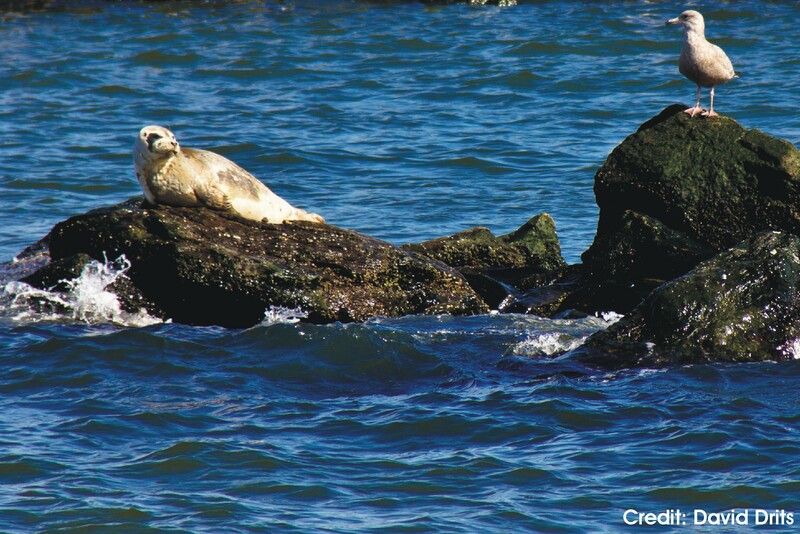 It was the wintertime version of a weekly summer tour for watching water birds, but in winter the prime attraction is the harbor seals. 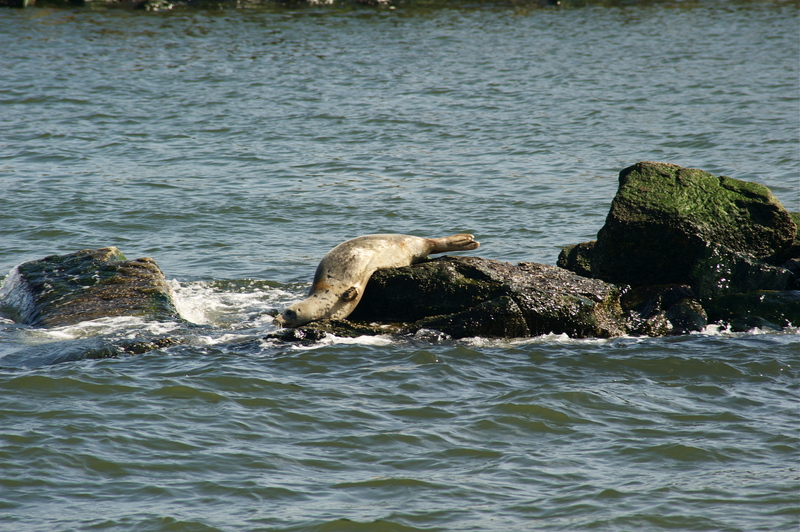 Apparently there are roughly twenty seals that call New York City’s waterways home. This is a relatively new population, and the NY Aquarium estimates that their number has been growing in recent years – testament to the improving water quality and food available in our waters. 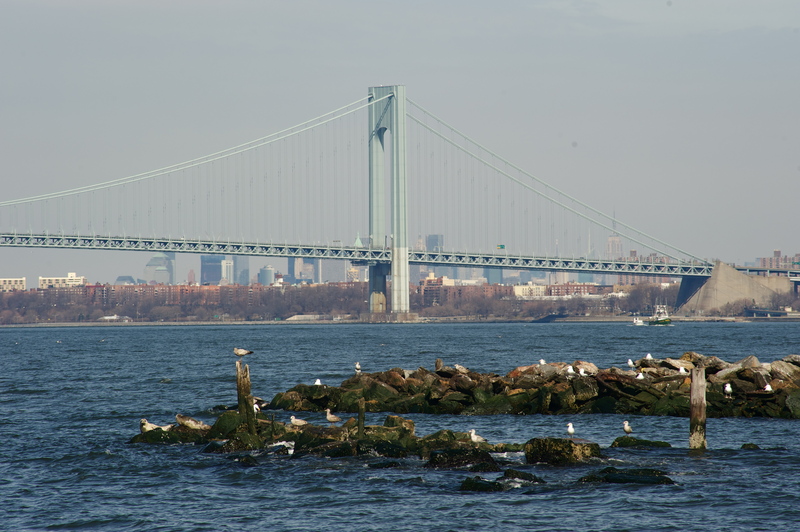 Here, a few seals are on the far left side of the rocks, with the Verrazano-Narrows Bridge and skyline in the background. Credit: Gavin Guerra. The pictures are from Swinburne Island, which is between Coney Island and Staten Island. There were eleven seals visible at first, but unfortunately, our boat spooked them into the water. Here’s is the last of the seals, waddling off its rock and doing a face-plant before finding its way back into the sea. … Not to sell short the charming cormorants, which seem to combine the looks and swimming ability of a skinny penguin, the fish-diving ability of a pelican, and the vomiting ability of a fraternity brother. They have also re-established their colony in our waters, as small fish have become more abundant and pollutants less so. <!–[if gte mso 9]> Normal 0 false false false EN-US X-NONE X-NONE <! [endif]–><!–[if gte mso 9]> <! 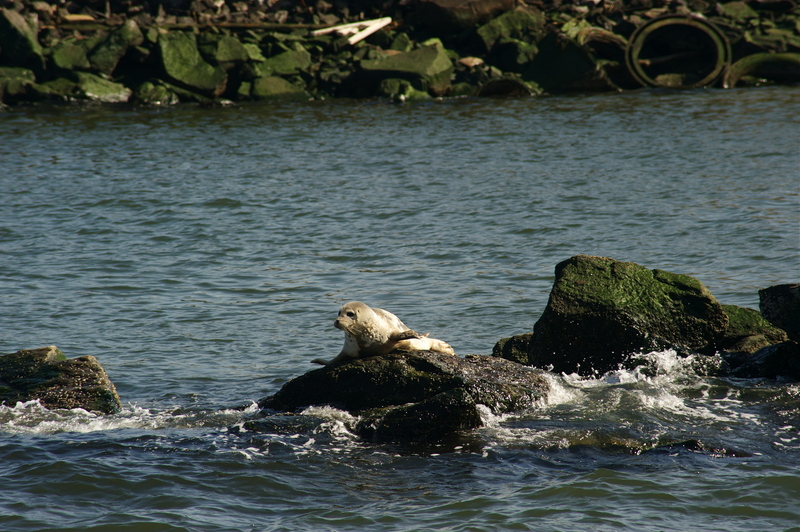 [endif]–> <!–[endif]–>Apparently there are roughly twenty seals that call New York City’s waterways home. This is a relatively new population, and the NY Aquarium estimates that their number has been growing in recent years – testament to the improving water quality and food available in our waters. 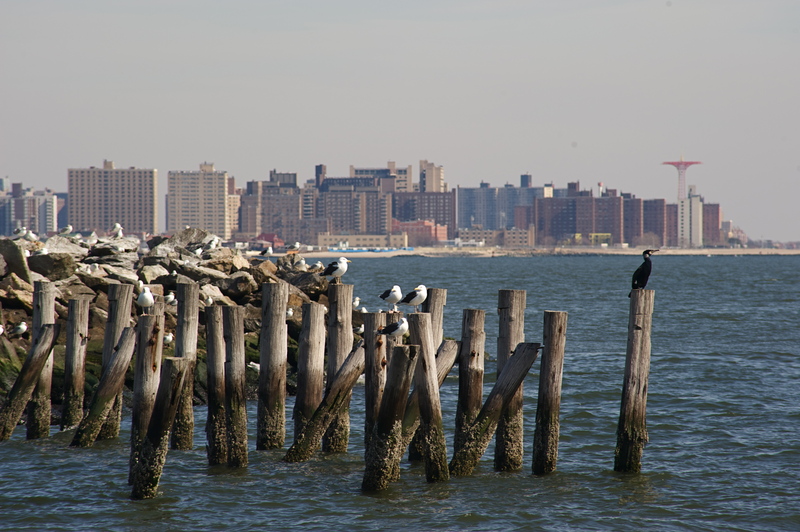 This entry was posted in photography, water and tagged Coney, cormorant, island, New York Bay, New York City, seal, skyline, Staten, Swinburne, winter. Bookmark the permalink.